There is a main sculptural piece centered in the gallery made up of two projection screens with two music keyboards. The keyboards are connected to two hidden computers controlling what is projected and how this is activated. 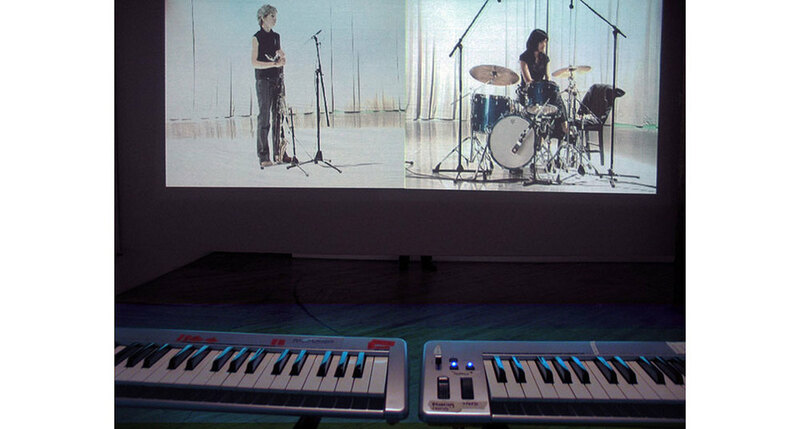 On each screen is a projection of a musician improvising. 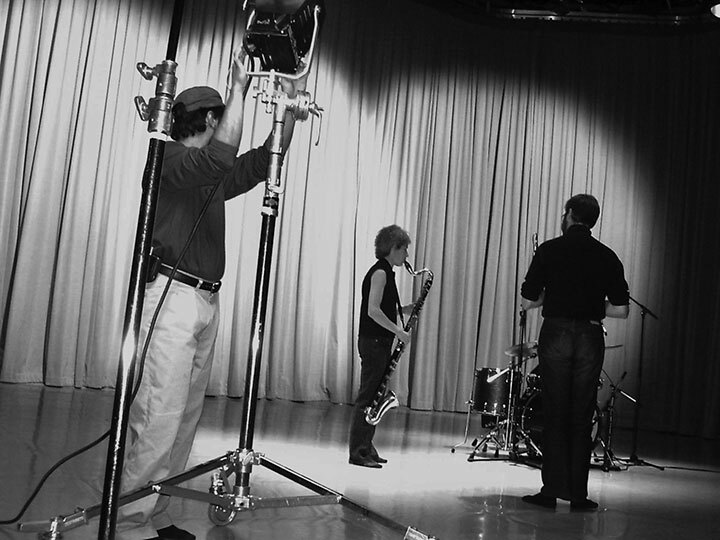 Each musician will have been separately filmed playing solo. Viewer/s can ‘play’ each set of video through each keyboard. Each key triggers a brief clip of one of the musicians playing improvised music or sound (sort of like from a ‘library’ or ‘vocabulary’ of music or sounds particular to each musician). To the side of this main sculptural piece is another projection screen. 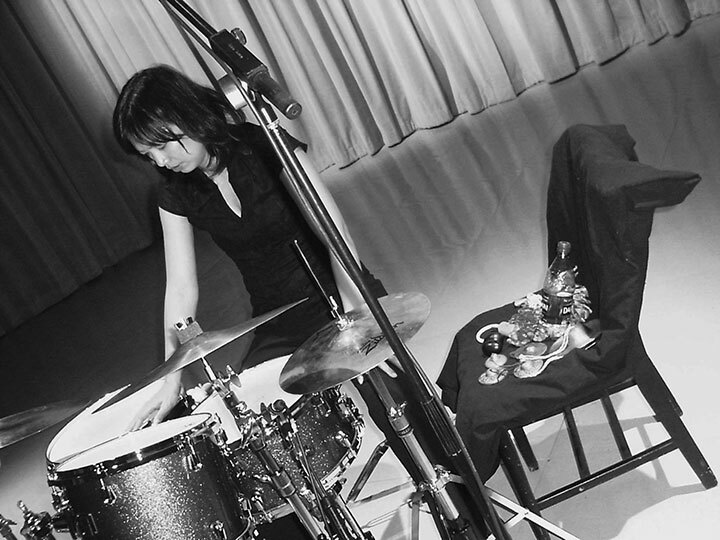 This screen shows the two musicians improvising together in a duet. This screen is only activated when the viewer pauses (e.g. the keyboard is not activated for up to 2 minutes) while ‘playing’ the above setup. When no one is ‘playing’ or activating either of the keyboards, projections on all screens will revert to footage of the two musicians ‘waiting’. 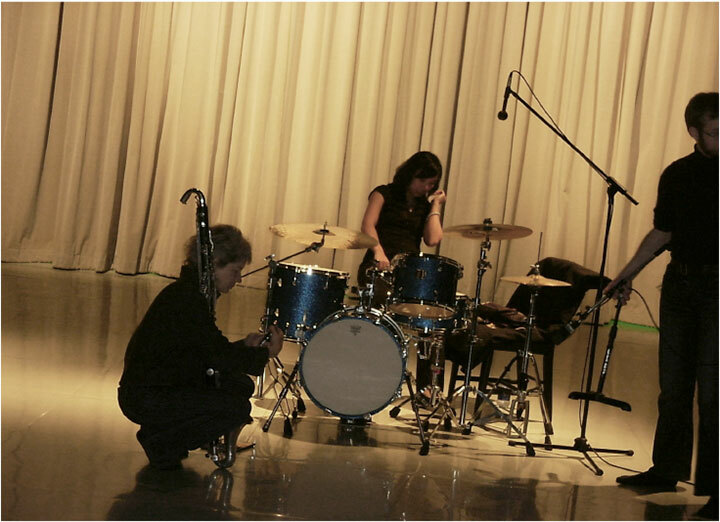 Through this project I am exploring the limits of predetermined movement and an isolating quality found in new technologies juxtaposed with collaborative, embodied and improvisational presence found in jazz and contemporary music practices. Installation photographs from DUET's YYZ exhibition for the IMAGES Festival in Toronto, 2006. 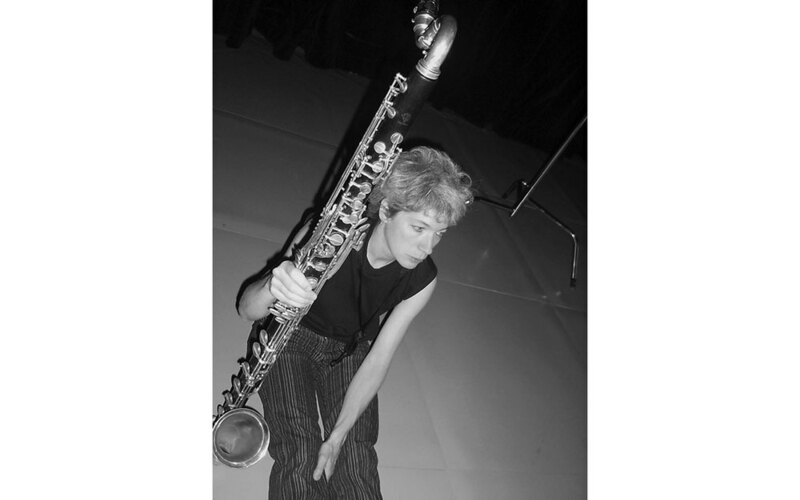 Production photographs by Lita Fontaine at the Banff Sound & Vision Residency, 2005.